Happy Friday 13th! Today’s nail art I wanted to use my new Cina Nail Art Kit 133440, which are used to embellish your fingernails, I purchased from Sally Beauty Supply. I used the rectangle loose glitters from the kit to add sparkles. To create this look I used Sally Hansen Lite as the base color after a clear base coat. 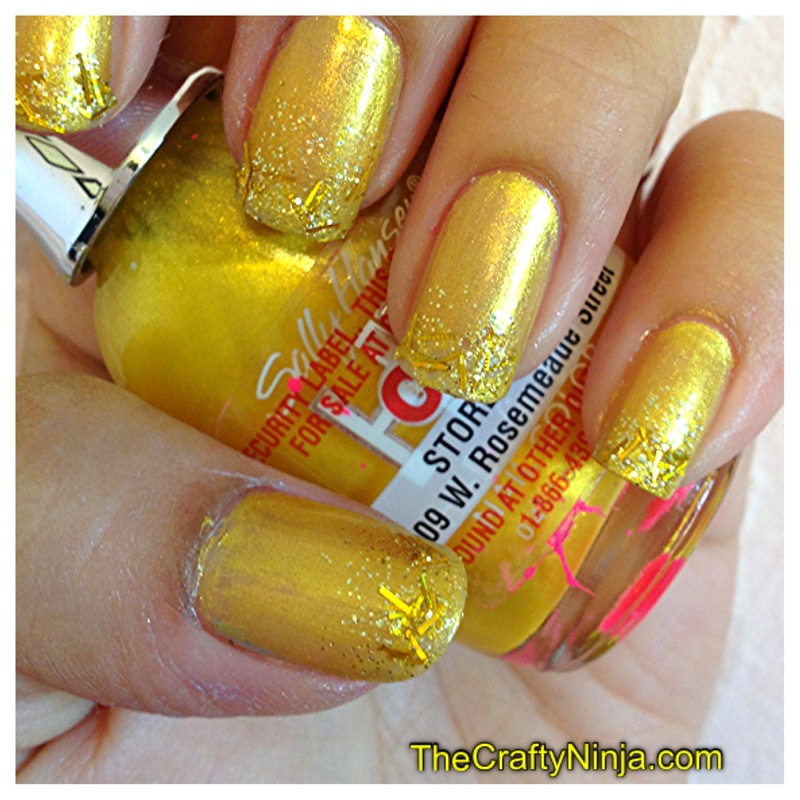 Then Covergirl Gold Rush on the tips of my nail, I applied three coats. 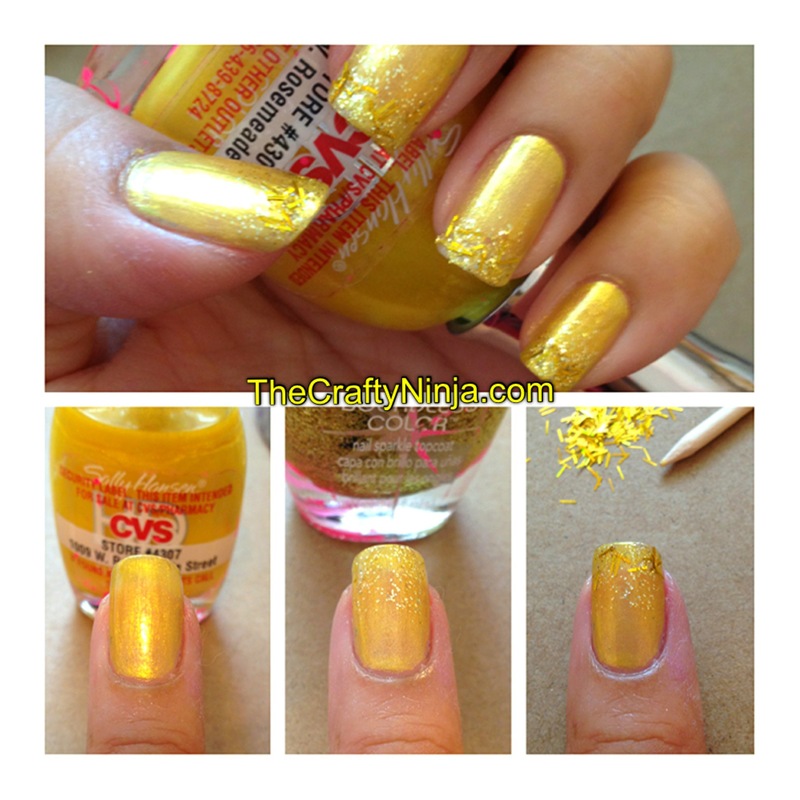 Last I added the rectangle loose glitter with a toothpick. Finished off with a clear top coat.